The Seminary is now offering commuter housing through the new Spring Hill Suites Ontario Airport and will no longer offer commuter rooms at student housing. 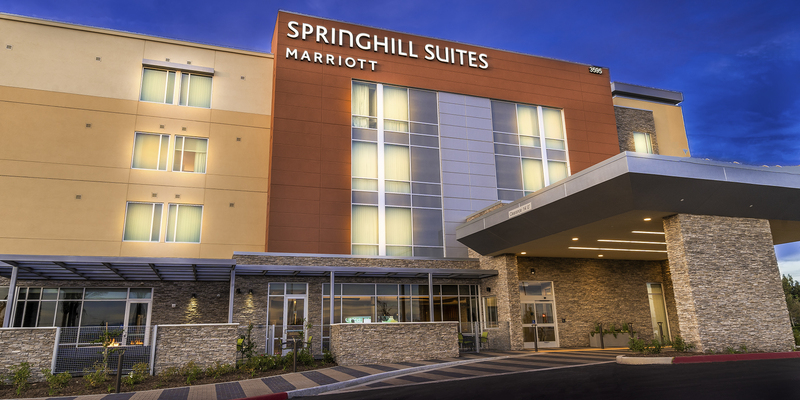 Springhill Suites Ontario Airport is on the corner of Haven and Guasti; 0.6 miles from the Los Angeles Campus-Ontario, 0.4 miles from the Ontario Airport, and two miles from the East Ontario Metrolink station. Springhill Suites is a Marriott brand hotel offering key amenities for visiting students including free breakfast, free Wi-Fi, fitness center, pool and business center. Gateway Seminary has negotiated a corporate rate with Spring Hill Suites Ontario Airport for $129 per night for up to two people in a king or double-queen suite. This rate includes a shuttle to and from the airport and complimentary Uber service within 5 miles of the hotel. These amenities will save students the cost of breakfast and for many students who travel to the Los Angeles Campus-Ontario, it will eliminate the need for a rental car. Any student wishing to make a reservation for a commuter room can do so directly with Spring Hill Suites Ontario Airport by calling 909.937.5000 and telling them you are with Gateway Seminary or use the following link: Book your corporate rate for Gateway Seminary. Any student wishing to be matched with a roommate for their planned trip to the Los Angeles Campus-Ontario to share costs can contact . Please include the following information: gender, what Gateway campus you attend, dates of stay and pertinent contact information (phone number, email, etc.) to be shared with any potential roommate.